IT HAS ARRIVED! Galaxy day of the 31 Day Challenge! I love this day because I never do galaxies, even though I should, and they're so easy to do, and they always turn out lovely, and the sparkles are overwhelming, and yeah. 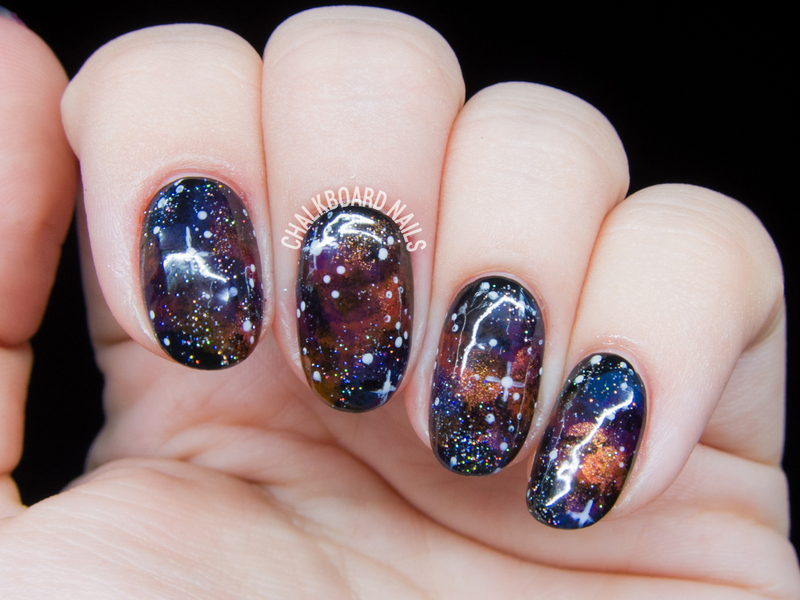 Galaxies are the best. 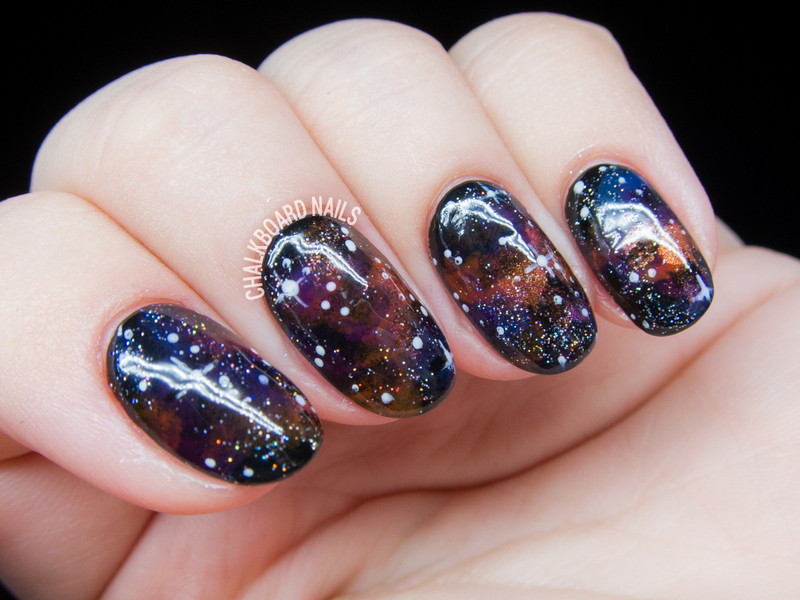 As with all my galaxy manicures, I started with a base of black polish. Next I added the bitty stars! I always use China Glaze Fairy Dust for my stars. 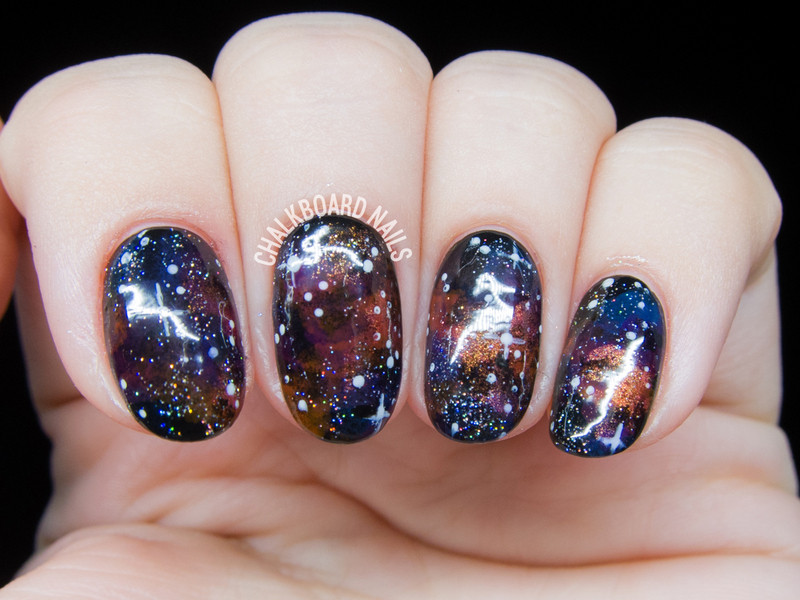 The key is to swipe it on randomly, instead of covering the entire nail! The final step was to add the individual stars. I used a pinpoint dotting tool and Polish My Life's Saint, then added some lensflares on a couple of the stars. I totally love how these came out and honestly they took me maybe 30 minutes to do. A win all around!